Pregnant? Ready to share the news? 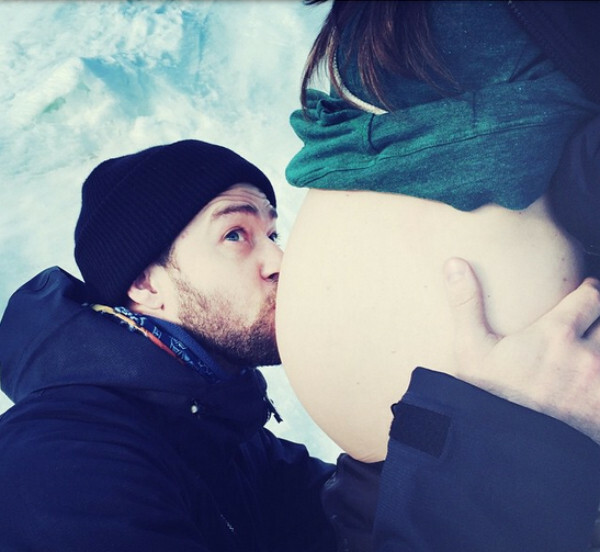 We’ve rounded up our favourite ways to announce your pregnancy thanks to creative celebrities and photographic parents-to-be. Whether you are pregnant now or plan to be in the future, save these ideas for some inspiration when it comes time for the big baby bump reveal! 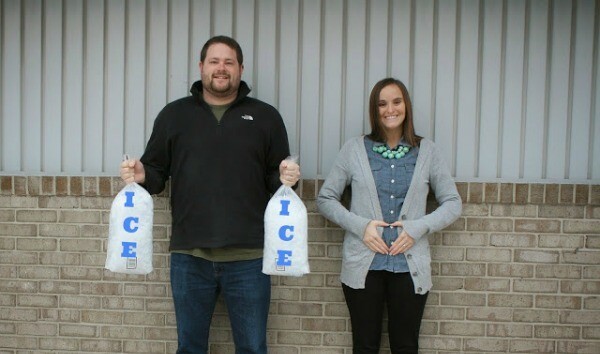 When it comes to the perfect pregnancy announcement, it’s all about thinking outside the ultrasound photo. So what are some of the ways to showcase this special upcoming event? Stacy Keibler took to Instagram to reveal her news last year with a simple photo of a wee little bun in her sparkling clean oven. A lot of celebrities have followed this trend including Naya Rivera. Look what we've got cooking! A Bun'dle of love! Getting big sister or brother involved in the announcement is always fun. 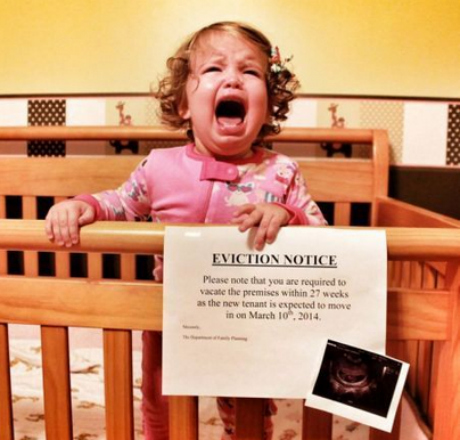 And the eviction notice is a great idea, especially when big sis pulls a face like this. You can’t help but feel for the poor child! 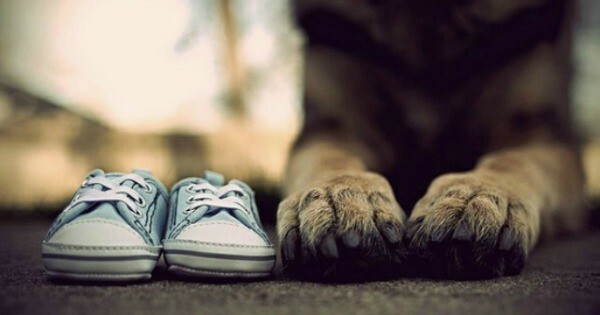 Or, consider involving your fur babies in the baby announcement action. 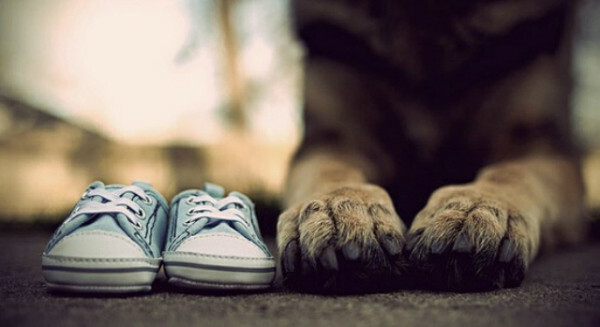 This elegant photo found at Indulgy takes the ‘baby shoe’ idea to a whole new level in a pawsitively adorable way. 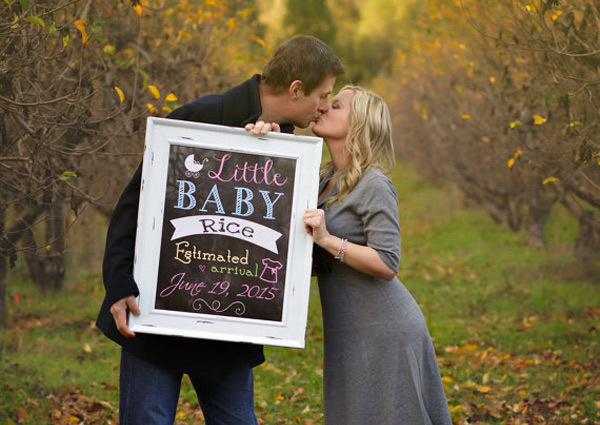 We also love this cute professional pregnancy announcement by DM Photo. Not all pets are going to cooperate this well, but, hey, if you have animals that are obedient, then why not give it a try? We’ve seen plenty of these on social media lately! Not only do the boyfriend/girlfriend/husband/wife/mummy/daddy chalkboards make a great photo opportunity, but also a beautiful keepsake. Get your own made at Sweet Bee Creates for $11. Take a post out of Jessica Simpson’s Twitter page with this Halloween inspired pregnancy announcement. To announce her first pregnancy, she dressed the part of a mummy, complete with the beginnings of a baby bump. This adorable father-to-be thought he was doing the standard cheesy photo booth pictures with his partner. But she surprised him with baby news. And his response is, well, make sure you have some tissues on hand. What a great way to capture a beautiful moment. Here is a great one to try! Create a mock movie poster announcing the news. We love this one found at OMG Cute Things starring the Parmly parents. And baby makes one more! 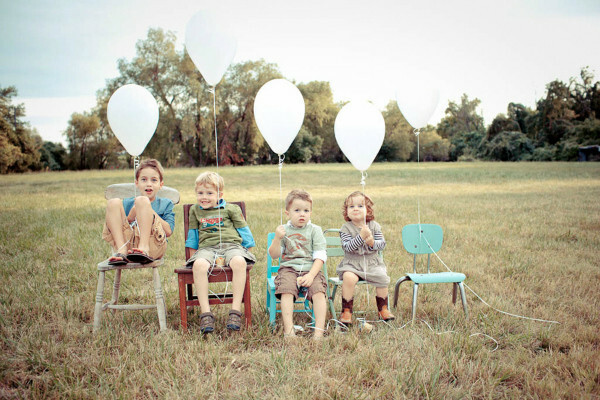 Get the kids involved a la this stunning natural photo from Ashley Ann Photography. Fergie and Josh Duhamel announced their baby’s impending arrival by photoshopping their two baby photos together and posting to Twitter. You can see where baby Axl gets his looks. Not to be outdone by herself, Jessica Simpson followed her first pregnancy announcement with this adorable Tweet using baby Maxwell as a prop. Combined with the green fauna, the sand and the smile, it’s a beautiful way to share the news! There are plenty of other ways to get older siblings involved like adorable Big Sister t-shirts or writing a sign and having your toddler hold it up. We can’t go past the beautiful bump photos that really don’t need any captioning whatsoever. A simple picture of your growing belly says it all. Blake Lively and Ryan Reynolds, as well as Jessica Biel and Justin Timberlake are two recent celeb couples to announce their news through a simple bump picture on social media. Finally, get creative with this adorable custom made pregnancy announcement card. 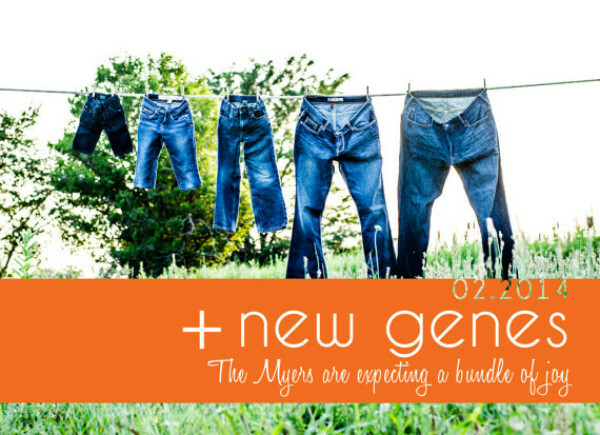 You can get yours tailored to your due date through Speckled Clementine for only $13.50. This one is pretty ridiculous but it made us laugh so had to share. See if your friends can figure out this social media riddle. Let’s face it – the pregnancy announcement is the first in a very long series of photographs featuring your new little one. So make it stand out with these personalised pregnancy ideas. How did you announce your pregnancy?